Two recent events make this guest post by Mykael Ray especially relevant and thought-provoking. First, media reported on the outrage after Mumia Abu-Jamal, convicted cop killer who is on death row, delivered a pre-recorded commencement address to a group of college graduates in Vermont. While I am not saying that I advocate what he was allowed to do, what if someone like him encountered Christ, expressed remorse, and presented a positive message? Would we EVER be able to extend grace and forgiveness to a cop killer? Would we be willing to enter into a relationship whereby we would have the opportunity to share Christ? While a cop killer should still suffer the punishment and consequences for his or her actions, are we willing to accept the fact that Jesus would forgive and grant eternal life to one who repented and turned to Christ? What about the other offenders that we encounter daily on the streets? The second event has to do with the Indiana Trooper who was sued for sharing Christ and a Gospel tract with a woman while on a traffic stop. Situations like this cause many to shy away from sharing Christ while on the job, but I still contend that there is a time, a place, and a method by which we can live out our faith and share with others. 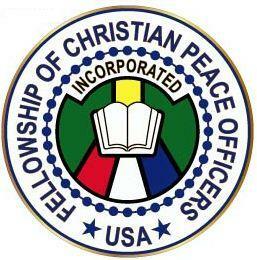 Do we distinguish between our Christian faith and our position in law enforcement? Read what Mykael writes about the opportunity Christian cops have to minister to parolees and other offenders, and then work through the discussion questions. Feel free to comment and share your thoughts with us. In the criminal justice field, sending people to prison is part of the job. It’s pretty basic; you commit a crime, you pay the price for it. What about when the offenders are let back into the community? Where do they go? What is expected from them? Are they prepared for what lies ahead of them? Rehabilitation systems are in place to answer these questions for them, but does it actually work? After all, a report from the University of Cincinnati says that an estimated 65% of those released eventually return to prison. According to the Rand Corporation, inmates who participated in a rehab program had a 13 percent less chance of going back to prison. Even in the same findings they have a 13 percent higher chance of getting employed once released as well. It should be noted that even this study states that more and bigger studies need to be done to verify these findings, but considering that these are the findings from a single study, the numbers are promising. So yes, prisons have rehabilitation programs, and they do work. But they only work as long as they are in prison. After that, they are under the authority of their parole officer. What about the other 87% whom the system didn’t or couldn’t help? With the pressure that society puts on ex-convicts, all that mentoring they receive in rehab can very easily be washed away. A video called Mass Incarceration in the US makes it very clear that society continuously punishes these ex-cons far after they have been released by making it more difficult to get a job, welfare, financial help with school, and more. All of which puts pressure on them to succeed on their own, with only the help of their close friends and family (if they themselves don’t have a record), and their parole officer. Police officers are the ones with all the power once these convicts have been released. This is where it becomes relevant to the rest of us. I can imagine that where most officers could find dealing with ex-cons as an inconvenience or a waste of time, Christians should find this to be an opportunity to show the love and compassion of God. I understand that these guys did something bad enough to land them in prison, and that trust isn’t really a work that is associated with such people, but if we as Christians are going to show the love of God through grace shouldn’t that include the ones who don’t inherently deserve it? Yes, your job is tough and places strict expectations to uphold the law when these ex-cons step out-of-bounds. But likewise, for those who are trying, who are putting in the extra effort, who legitimately want to succeed, you as an ambassador of Christ should be on the front lines directing and supporting them, when the rest of the world couldn’t care less if they went back to prison. Mathew 25:40 says, “And the King will answer them, ‘Truly, I say to you, as you did it to one of the least of these my brothers, you did it to me.’” By human standards, they may not deserve our compassion, but we are held to higher standard. While the unbelieving cop next to you may want nothing more than to put them back “where they belong,” we have been called to a higher purpose. I am not a cop, but we all should recognize that these are people just like you and me, and not only did they make a mistake, they have to live with it the rest of their lives. Grace sets us apart from everyone else, and the prophetic word sets us apart from those who only have grace. It is up to us to be there for them in a world that only makes it more difficult for them to succeed. Armed with the word of God, our Christian cops can make a difference in many people’s lives that would not get that chance otherwise. 1. Have you considered the possibilities for ministry to offenders? Is there a time when you took advantage of the opportunity to minister the love and grace of Jesus during one of those interactions? 2. While we must be mindful of the history of those we interact with, have you considered how our attitude and treatment reflects or takes away from the love and grace of Jesus? 3. Do you think prison rehabilitation and offender re-entry programs, apart from the heart transformation that comes from a relationship with Jesus Christ, can truly be effective? Do you have experience with any such program and recidivism rates? 4. What has God spoken to you through this article? Mykael Ray is a freelance writer who also partners with Pearson Online Learning Service, representing the University of Cincinnati, and has been impacted by the ministry of Covered Law Enforcement. This entry was posted in General and tagged christian cops, Covered Law Enforcement, ministry, parole, police ministry, recidivism. Bookmark the permalink. Wonderful, thought provoking and convicting! I have considered all of the questions above and can answer Yes, yes and yes. I have been a cop for nearly 27 years. I have been a Christian much longer but for much of the time I acted as if the two were not compatible. I had become hardened and lacked compassion. God got through to me and softened my heart and renewed within me a burden to help, the very thing I believe got me into the LE business to begin with. I realized that addiction (sin) was a huge factor in the destruction of our families and our crime rate. I would guess nearly 90% of those in prison are there in some way related to addiction. 5 years ago, I was exposed to a Christian addictions program called Reformers Unanimous (reform.com) and I knew right away God wanted me to get involved. Long story short, I was asked to be the director of a local chapter (ironically while I was the Narcotics Division Commander) and have seen incredible transformation as a result. This program has grown to nearly 1000 chapters across the US and in several foreign countries. The program has options for “inpatient” care, institutional programs and then local support group style chapters like mine. It is a resource I wish every Christian cop knew about. We are just getting set up now to “catch” institutionalized juveniles as they “re-enter” the community from their programs. I pray that God uses us to make an impact in that area as well. Obviously, I could go on about this for a while but I encourage you to check it out at the website above. If you happen to be around Rockford, IL around the 26th of October, we will be there attending an annual conference of Reformers unanimous chapters, you would be encouraged!